A new web browser ‘Salam Web Browser’ has been developed by a Malaysian startup. The browser is in accordance with Islamic compliance and privacy concerns. Salam Web is a mobile and desktop browser designed to give a friendly web experience for Muslims. The app, available on both Android and iOS has several features including messaging and news. As per the App description on Google Play, SalamWeb is the world’s only Shariah-certified collection of digital tools. It’s a safe online environment that lets you connect and contribute to the Muslim community near and far. Salam Web, just like other browsers, has main features like you can browse, chat, explore your world, be entertained, contribute by using, and do everything you normally do online. Apart from other functions, it has some special features like Qibla direction and prayer timings are also available on the website. SalamWeb can be downloaded for Android and iOS. The PC versions can be downloaded from here. 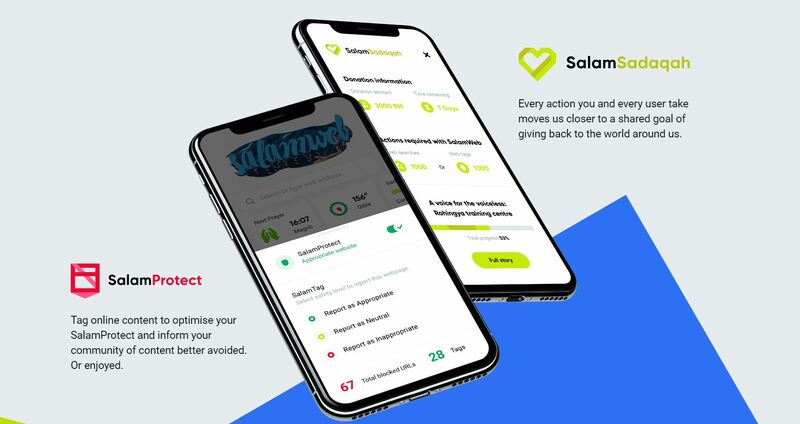 According to Hasni Zarina Mohamed Khan, the managing director at Salam Web, the app is mainly being used in Malaysia and Indonesia. “We want to make the internet a better place,” Hasni Zarina said. “We know the internet has the good and the bad, so SalamWeb offers you a tool to create this window that lets you go to the internet to see the good,” said Hasni Zarina as quoted by Bloomberg. Khan says that the goal is to capture 10 per cent of the 1.8 billion Muslim population around the world. She further revealed that there were several challenges in the backdrop of Google and Facebook facing scrutiny over spreading fake news and divulging information. SalamWeb mainly involves community-approved content that is deemed appropriate. Warning signals also appear to users when they come across a website containing pornographic and gambling content. SalamWeb heavily relies on community-vetted content that is marked appropriate with warning signals appearing to users when they land on websites containing gambling and pornographic content. There are also specific functions available on the website such as the Qibla direction and prayer timings. This article originally appeared on Bloomberg.